My beautiful necklace made by the talented Caroline Blechert Creations for Continuity. I contacted Caroline after seeing her work on Beyond Buckskin.This is a really great website that showcases Native American artist’s work and challenges Native appropriation. Beyond Buckskin empowers Native American artists and designers, advancing the quality of Native American fashion through education while providing an in depth podium for societal participation. Inspired by relevant historical and contemporary Native American clothing design and art, Beyond Buckskin promotes cultural appreciation, social relationships, authenticity and creativity. I kept coming back to stare at Caroline’s beaded headbands and earrings. I had totally fallen in love with her stunning jewellery. 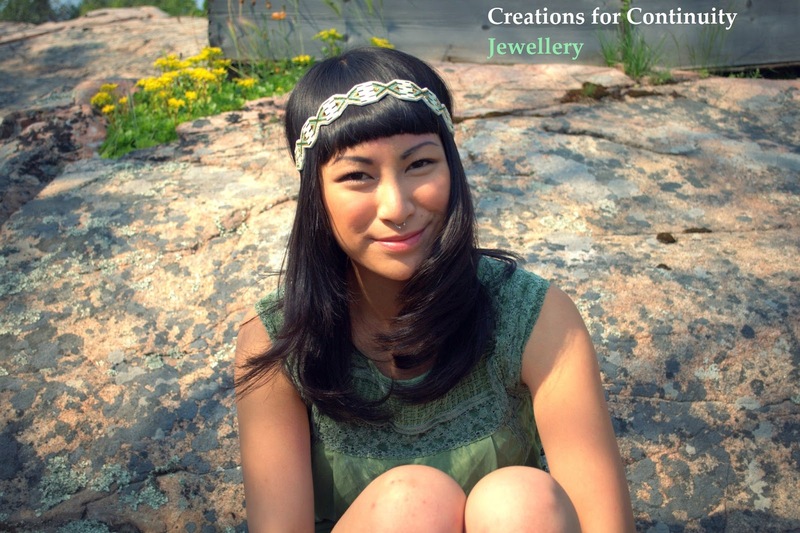 ‘Caroline is Inuvialuit, and was born and raised in Yellowknife – a community located in the Northwest Territories of Canada, and this influence of the far north environment is evident in her work.’ So, after my fox pamphlet was published and I got a new job I decided to buy myself something to celebrate. My first thought was a necklace designed by Caroline and she was so helpful and enthusiastic, taking the time to chat to me. I explained about my study of Native American writers and the fox poems that formed the creative element of my work. 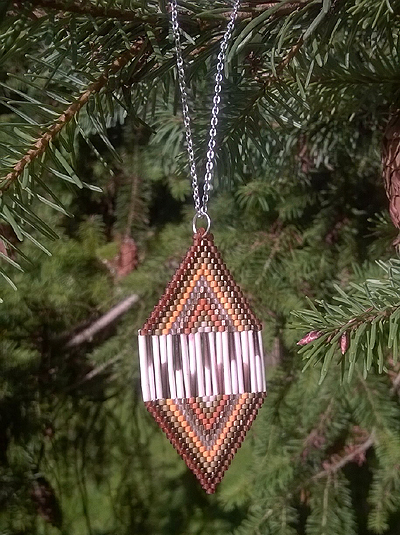 She took my request for ‘fox’ coloured beads and produced a necklace that captures their russet pelts perfectly. It means a lot to me and I wear it all the time.